Yesterday afternoon, I went to the nursery to get inspiration for my garden. I did manage to walk away without spending my whole paycheck on flowers and plants, although, I couldn't let escape me the prettiness that comes with flowers and well-designed gardens. 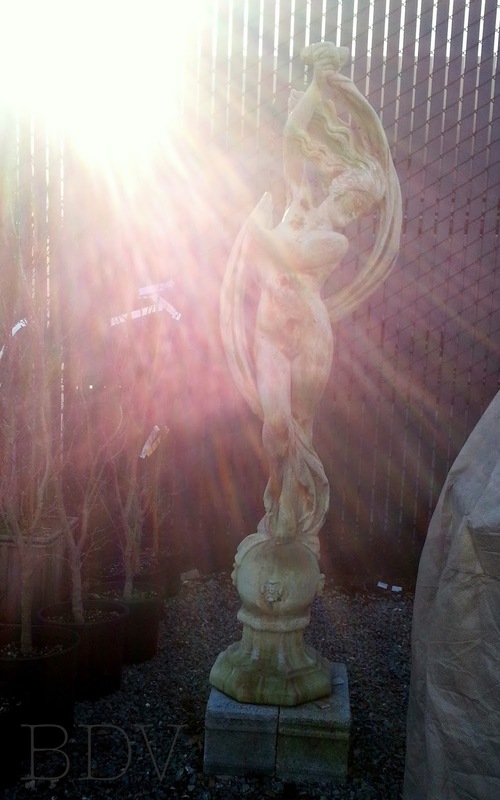 Wouldn't it be amazing to have a statue like this in your yard with sunlight pouring onto her? Or perhaps, you are more into scenic ponds and realistic statues instead? 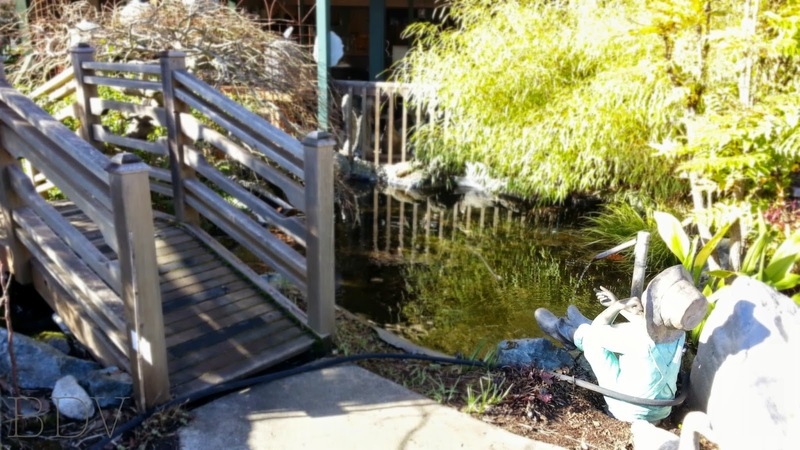 Picture below, a walking bridge over a man-made pond and ceramic statuette sitting and fishing. Of course, for me, the dream is to have a large greenhouse which can be used for various vegetables and herbs, tropical plants, and everything under the sun - literally. 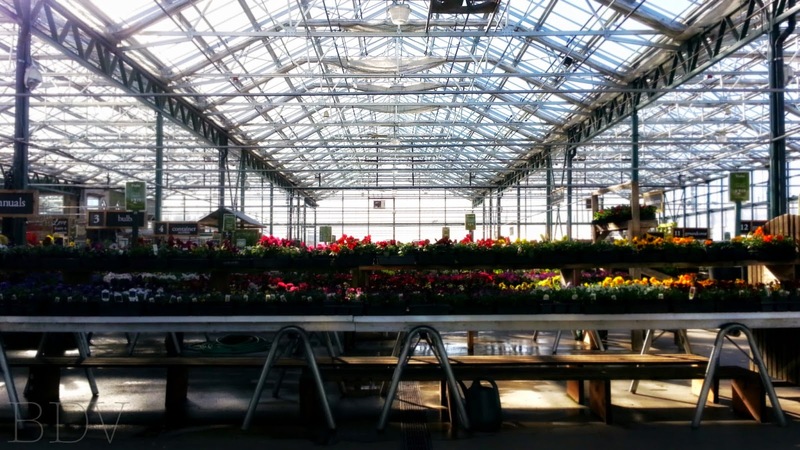 Sky Nursery - one big amazing greenhouse. 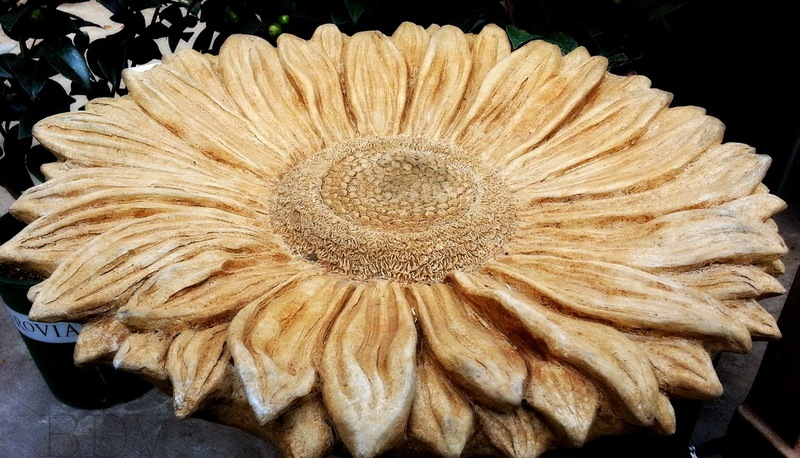 Even if you don't have a green thumb, you can create a beautiful bird bath. Just add water and possibly some seeds and you're set with this beautiful daisy inspired bath. What kinds of gardens do you like? I love all sorts and find inspiration everywhere from my past experiences, to future desires, and also from Pinterest.